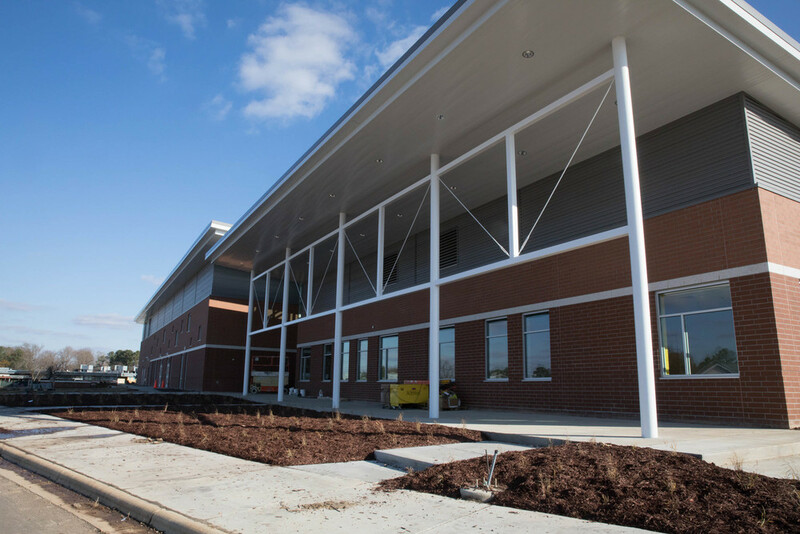 We’re excited about the opening of the new Manning Elementary on Jan 2. With a new school comes lots of changes including new safety measures. Safety is priority for everyone! We’re still in a transition for the next year as we’ll also begin the demolition of the old Manning. Procedures and daily routines you may have been accustomed to will change during this transition. Staff will continue to park in gravel lot by Track. Parents who park will continue to park at Track parking lot. Walkers from Park Avenue side will continue to use same crosswalk area. Bike riders will park their bikes in the rack located at the corner of Park Avenue and Barrett Street. All of these people will follow the Park Avenue and Barrett Street sidewalks to reach the entrance to the new building. We encourage you to use the queue as it will put your student much closer to the front door and reduce the amount of congestion on the sidewalk. Your student may enter the building at 7:45 to go his/her classroom. The afternoon queue will continue as it is currently. Students will wait on the front covered walkway or within the cafeteria during inclement weather for their name to be called. As safety is our highest priority, we strongly encourage you to use the queue for pick ups; however, if you do park and walk to the school, you will come to the front of the school to meet your student. At this time the only parking at the new school is for those who have state issued Handicapped placards. Parking lots will not be completed until the old building is demolished. For this reason, if you come to visit the school during regular hours, you’ll need to also park in the lot near the track and walk up to the building. When we return on January 2nd. All students will report to the multi-purpose room to be escorted to their new classroom. This is the new entrance and the only entrance for students and visitors. You will need to be buzzed in when you visit the school and of course sign in with the office. We’re excited about the opening of the new Manning Elementary and appreciate your continued cooperation.